Understanding common roofing terms is crucial to making well-informed decisions regarding your roof, especially if you need to have them repaired or replaced. 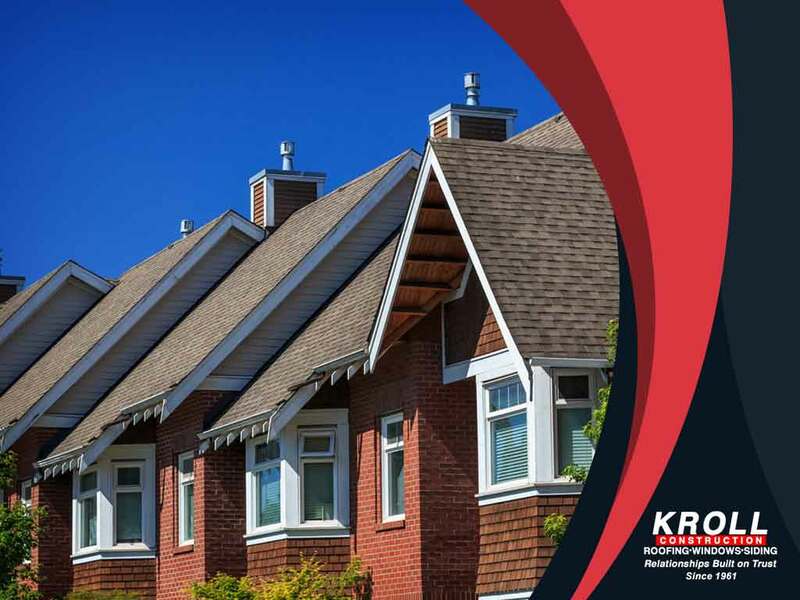 Here are some of the most common terms associated with residential roofing, courtesy of Kroll Construction. The surface to which roofing materials are attached. The roof deck is attached to the rafters of your home, forming the base layer where roofing materials are applied. Usually made of plywood. A sheet of asphalt-saturated material, such as felt, or a rubber membrane used to cover all exposed roof decking. Acts as a secondary layer that protects the wood deck, prolonging its life span. A leak barrier that prevents moisture from entering your roof. Placed near roof edges, down valleys, around chimneys, and other penetrations such as vents and skylights, that might serve as moisture entry points if left unsealed. An important roofing component placed on all edges of the roof line. Designed to help seal areas under shingles, preventing wind and water from entering and causing damage. The most popular roofing material available today. Can be made of asphalt, fiberglass, tile, wood or slate. Usually measured in “squares” equal to 100 square feet. A specially designed shingle meant to cover roofing peaks. It enhances the roof’s overall appeal. Metal strips placed around penetrations, intersections, high volume flow areas and some areas that cannot be completely covered by roofing materials, including ridges. Installed properly, flashings prevent water from seeping in and causing damage. A rating that indicates a material’s resistance to fire. Roofing materials are rated Class A, B or C, with Class A being the most resistant to fire from outside sources. A crucial component of the roofing system that affects the entire home, ventilation provides longevity to the roof decking, felt and your home’s interiors. If you’re looking for roofing contractors capable of improving your home’s value and appearance, call Kroll Construction at (844) 688-9632, or complete our online request form and we’ll schedule a free in-home consultation. We serve homeowners in Detroit and nearby locations.